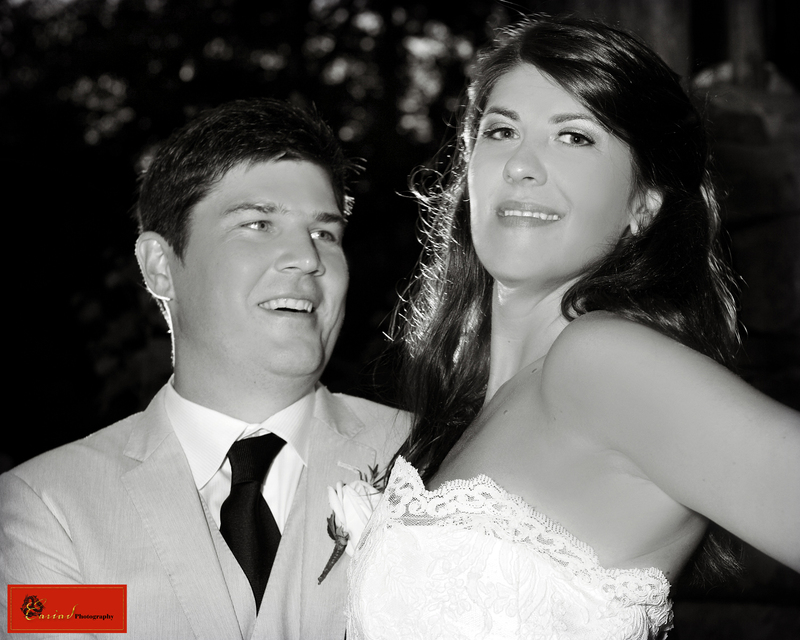 Annie and Zach's Wedding Slide Show at Chota Falls! When Annie and Zach were married at Chota Falls this past October it was a perfect day. When I first met Annie Zach was still in Scotland and after all the paperwork for the Immigration the day had finally come for them to get married. 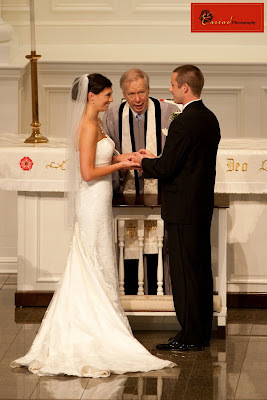 My husband Steve and I had to go through all the same things before we could get married so this wedding was very special to us, to see those two lovely young people live their dream. Allison and Thadius another beautiful Chota Falls Wedding! 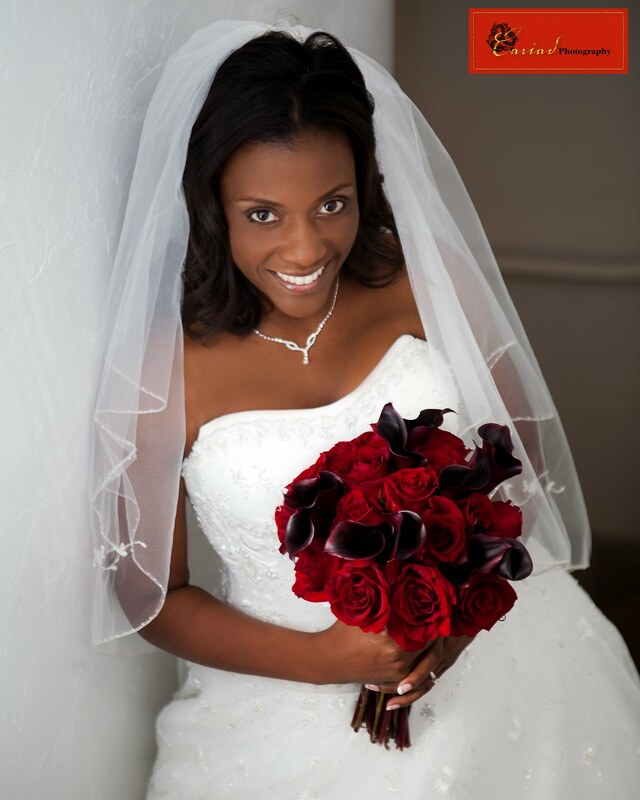 Congratulations to Allison and Thadius.......thank you for allowing Cariad Photography to be part of your big day! Penny and Patrick's Wedding at Chota Falls! It has been a while since I posted anything on here. 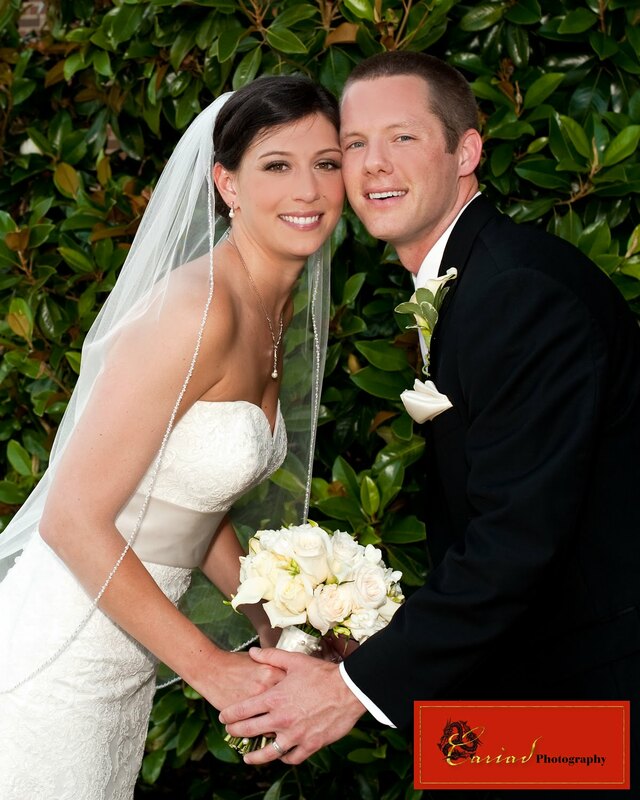 We have been so busy with weddings and most of the time we post our newest weddings on Facebook. Penny and Patrick were such a delightful couple from the very first moment we met we had a real connection with them. Their engagement session was so much fun and so was their wedding. I hope they will enjoy this little video slide show of some of their wedding photos. Thank you Penny and Patrick for trusting us with your memories. Michelle and Phillip's Wedding Video from their Chota Falls Wedding! Sometimes FACEBOOK makes me really mad, specially if I want to upload a video slideshow to which I own the copyright and they won't let me, just as it is the case with Michelle and Phillip's Wedding Slide Show. I am sorry guys, but this will have to do until I get Facebook to stop this. 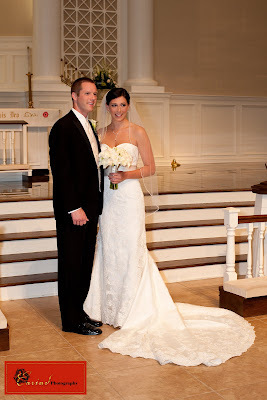 Lovely Chota Falls wedding of Jessica and Garner. 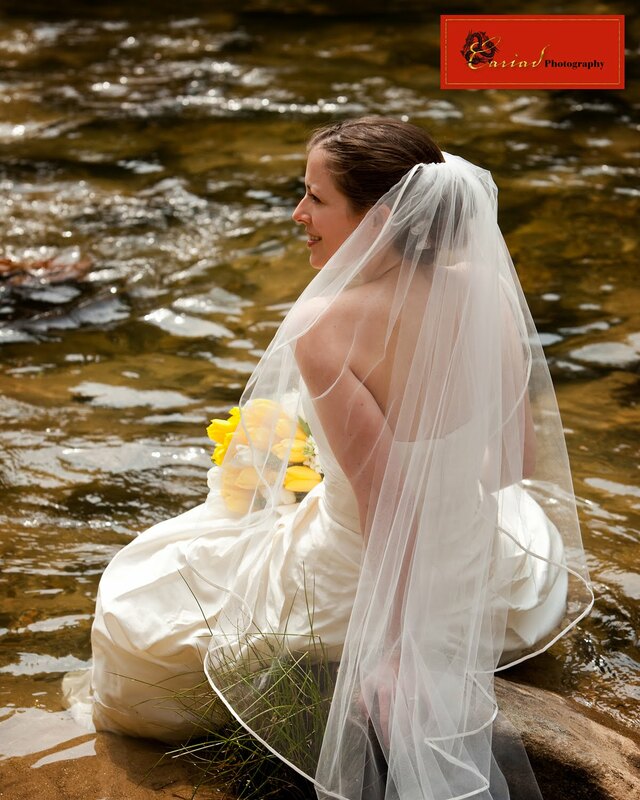 This past Sunday Jessica and Garner got married in a lovely waterfall ceremony at Chota Falls. The couple chose to have a small intimate wedding with just family and very close friends......it was absolutely lovely. Jessica was a very classic and elegant bride, somehow she reminded me of Ingrid Bergman. I just finised the edit of Lindsay and Logan's wedding photos from their Lake Rabun Pavillion wedding in North Georgia and as always I made a little slide show set to music for the couple as a gift. Hair and Makeup by Tangerine Dream of Tiger, Georgia! I have worked with Amelia Herb from Tangerine Dream quite often. I met Amelia again when I was shooting a Fashion Shoot for Views Magazine and she did the makeup for one of our models, Joanna. 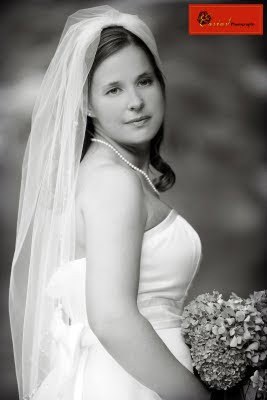 I actually photographed Joanna's wedding and just loved photographing her. 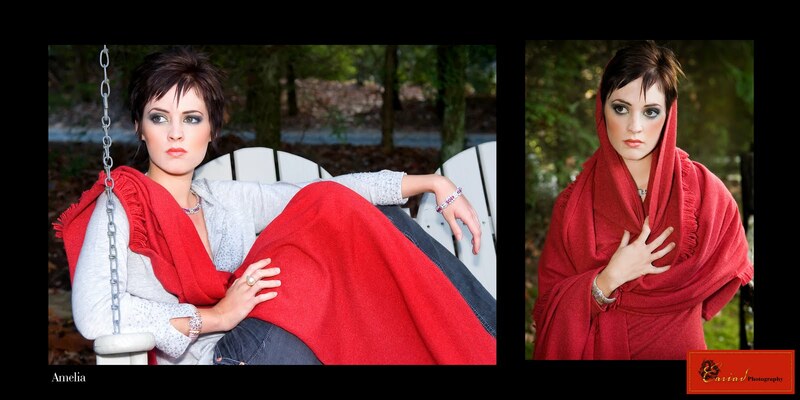 Amelia did not only do the makeup for Joanna the day of the shoot, but she was also one of the models. You have to admit both of these young ladies are really attractive and you can imagine it was really fun to photograph them. Amelia does an incredible job on hair and makeup and she now owns her own salon Tangerine Dream in Tiger, Georgia after working at the Old Edwards Inn in Highlands before she ventured out on her own. Amelia knows what a photographer looks for in makeup, because she has been in front of the camera and she is always dead on with her work, she can enhance the natural beauty of a bride with a very classic look and or create a dramatic look with equal ease. 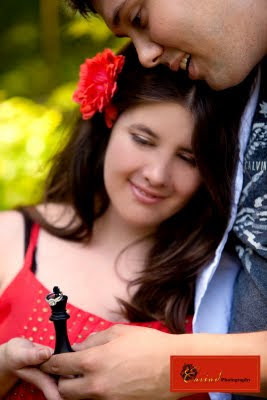 This was a really fun engagement session...........with a fun couple. 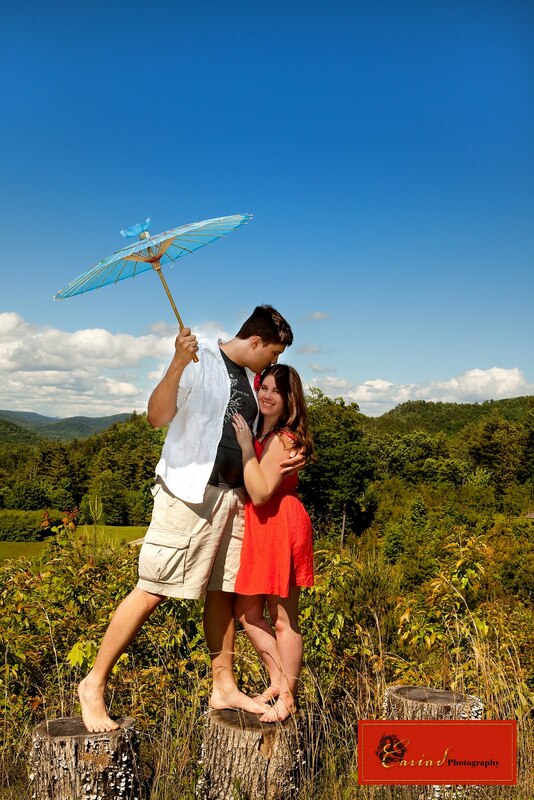 Chota Falls Engagement Session of Amy and Matt. 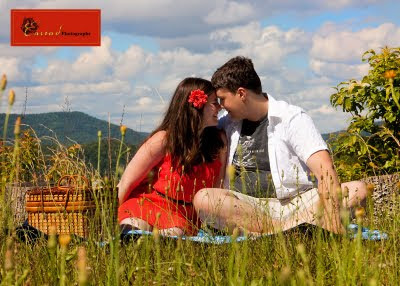 I always love doing the engagement sessions, it gives me a chance to meet and get to know the couples. Amy and Matt's session was late in the afternoon just before a really bad storm, but we were able to get some really nice photographs before the rains started. I can't wait to photograph their wedding which is coming up this August at Chota Falls in the North Georgia Mountains. 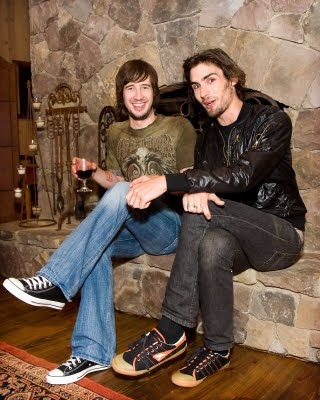 In my years since I started to be a professional photographer I had the pleasure of meeting and photographing many wonderful and exciting people including the All American Rejects. They came to Clayton, GA to find some solitude to write new music at the beautiful Splendor Mountain Estate and it was my pleasure to be able to capture those amazing young men while they were relaxing in such a beautiful place. Splendor Mountain is the perfect place for artists of any kind, the beauty of this retreat is just made to bring out the creativity in a person or persons. 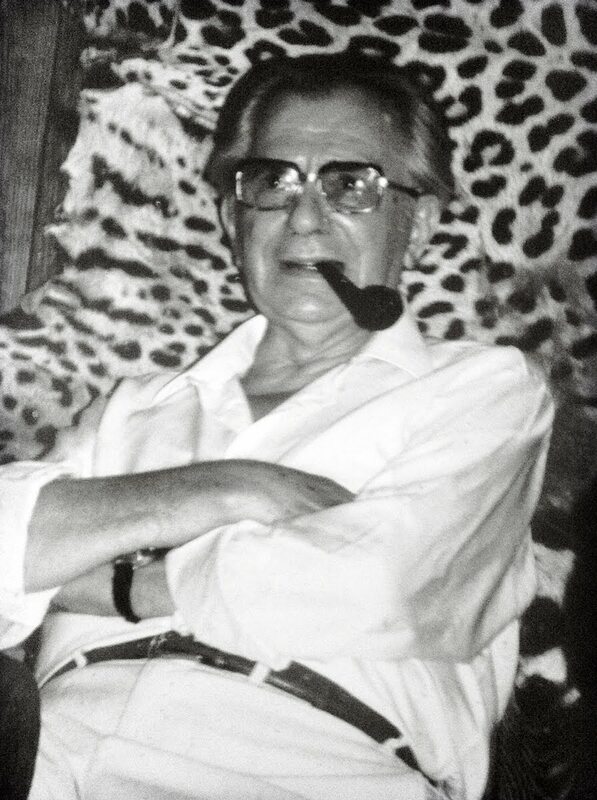 I love when I come across photos that bring back great memories even for me as the photographer. I don't photograph babies very often, mostly because of lack of time, but on occasion I am asked by one of our couples who's wedding we photographed to do a baby session. 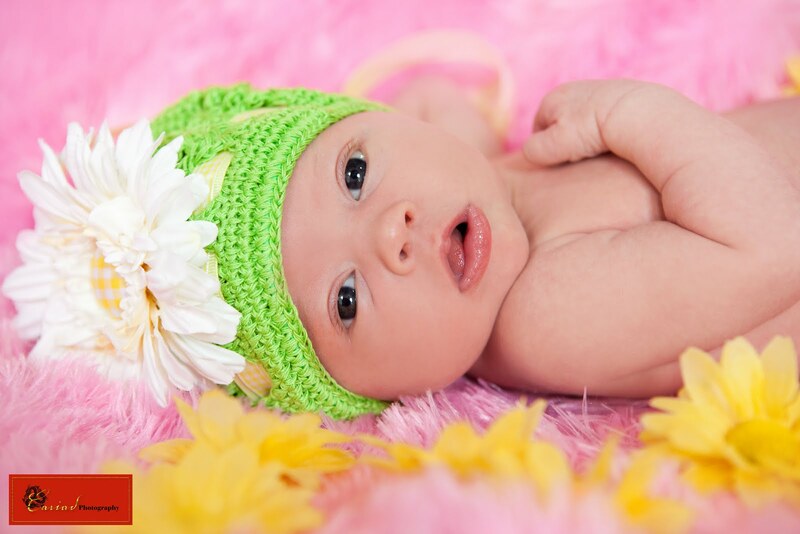 This was the case with baby Lauren.......I have to admit it was fun taking photos of this little angel. Jamie and Jeff's Wedding at Chota Falls in North Georgia. 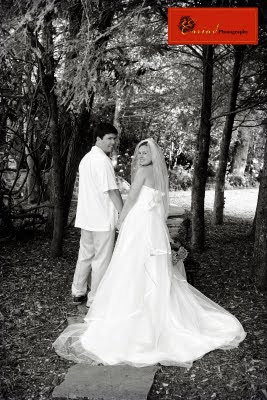 Working on Jamie and Jeff Freiberg's wedding photo edit. I just love B/W photography and this photo is one that I really like. I think it is the look on Jamie's face that my husband Steve captured when he photographed alongside of me at their wedding. 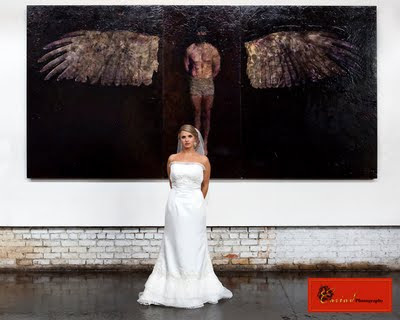 Is there a difference between wedding pics and wedding photography? There sure is......anybody can take wedding pics, but to photograph a wedding properly there is more to that then just picking up a camera and pointing it at the couple. The photographer has to be able to take great photographs or at the very least good ones in all kinds of lighting situations and just keeping the camera on automatic will not give you photographs that are more then just pics. 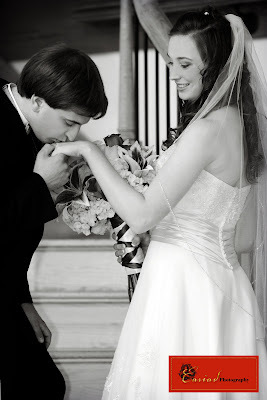 These days there are a lot of people that consider themselves wedding photographers after they purchased A CAMERA and maybe they even took pictures at some friends wedding........and now they are ready to be professionals. I have seen and heard nightmare stories about this kind of photographer, but once these stories are at hand, it is to late. The couple will have some inferior photos and it is to late to catch those moments that were so special to them at that point again. I don't understand why somebody would trust something like their wedding to somebody that has no valid track record of photographing weddings. 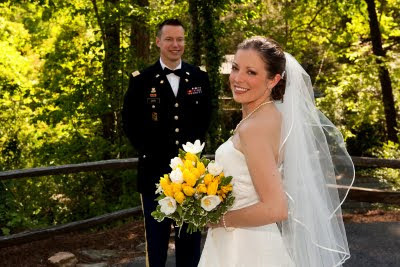 There are so many professional photographers available in all kind of price ranges.....it is a shame to just let anybody take pictures of your wedding specially someone that is not qualified to take on such an important job with so many photographers to choose from who can give you the quality you are looking for. Another thing to consider.........professional photographers have more then one camera. 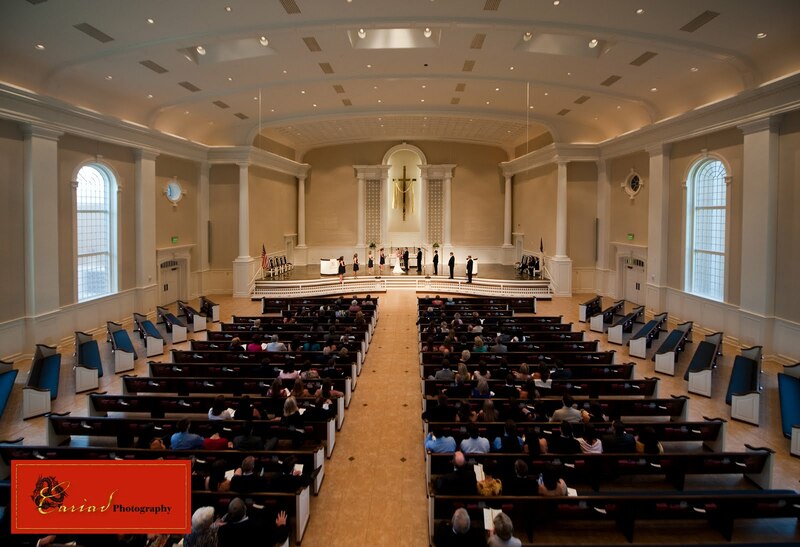 Anybody that is serious about their profession has at least two of everything, because I can tell you from experience that a camera can stop working right in the middle of a ceremony and if that person you hire to take your pictures does not have that backup equipment it will leave you with NO photographic memories of your special day or at the very least not all of your memories. 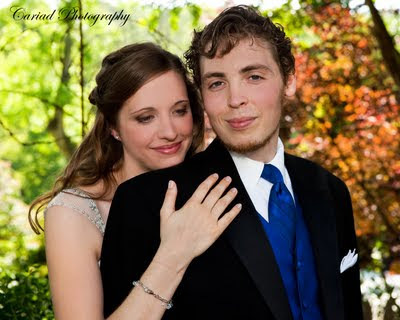 I am not writing this post to get people to book us for their wedding photography, I am writing this post because I am concerned on how many people hire these so called photographers and get burned. I have had several calls this year from brides that had hired someone, gave them a deposit and then could not reach them by phone and email.........before the wedding, do you really think they will be able to reach them after it is all over and they are paid in full. One of the brides that called me was even concerned that the photographer would not show up for her wedding. THAT is a very sad situation. Again, please hire a PROFESSIONAL to whom it is important that their clients are happy all the way around, because that is how they make their living .....and do check out their work before you hire anybody. Anyone can take a few good pictures or in the case of professionals photos.........but consistency is the most important part. If your photographer has been photographing weddings for years and their work is consistent you probably can't go wrong.....testimonials from happy clients will make it even more a sure thing. 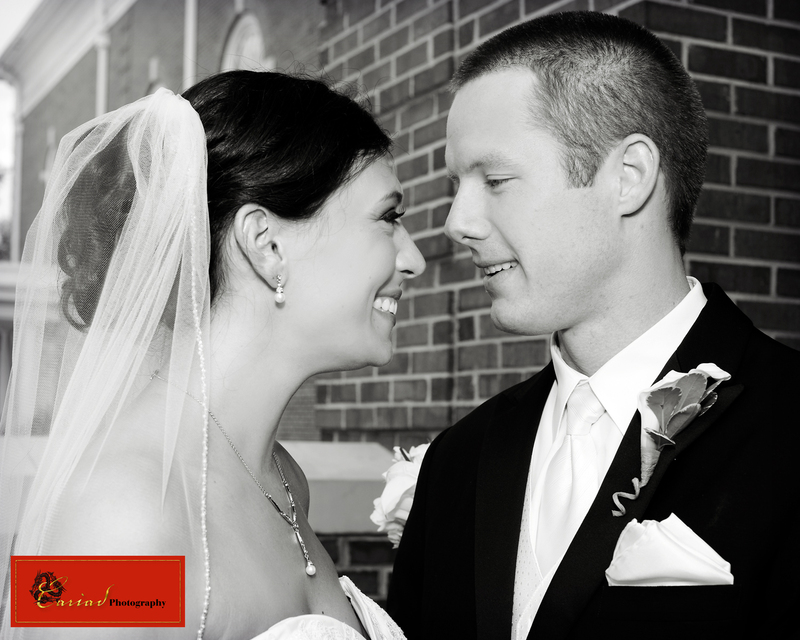 A professional wedding photographer will not only be able to take wonderful photos, but they also know the in and out of a wedding. 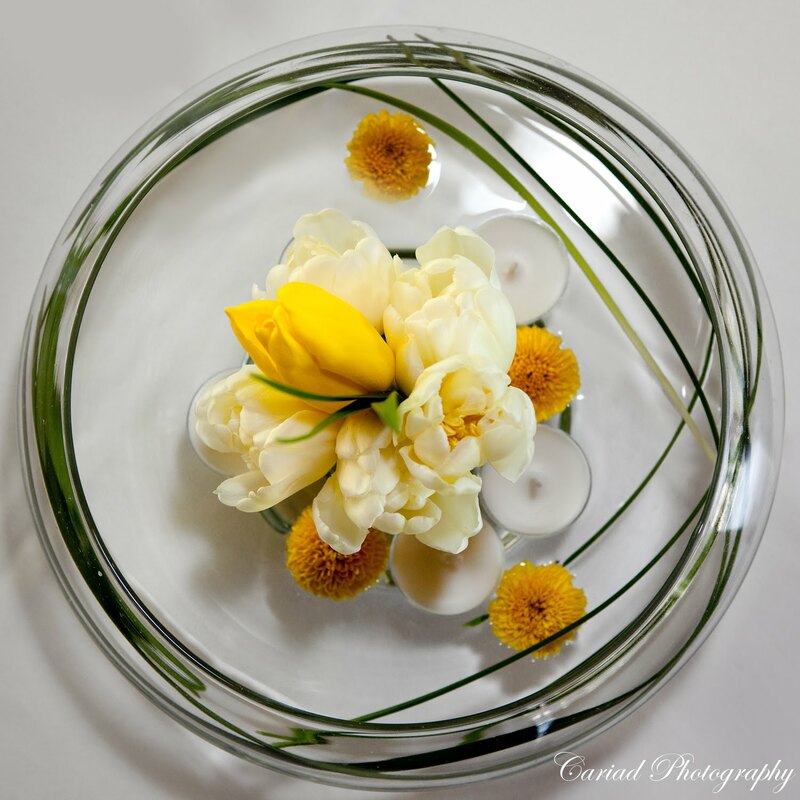 The photographer is only one small part of such an event, a lot of other people are involved in putting on a successful wedding.....the coordinators, the florist, the caterer, the cake company and of course the entire staff at a venue. All of these people have important jobs and it is equally important that the photographer knows how to work with each and everyone of those vendors. With some of the weddings there has to be a lot of communication between the photographer and some of these other people that are involved in such an event to make the day go smoothly. With this said.....go and do your homework before you hire a photographer for your wedding and don't hire somebody just because you know them, or they are a cousin of a friend and so on. Have fun and enjoy the search for the perfect person to record your wedding day moments. 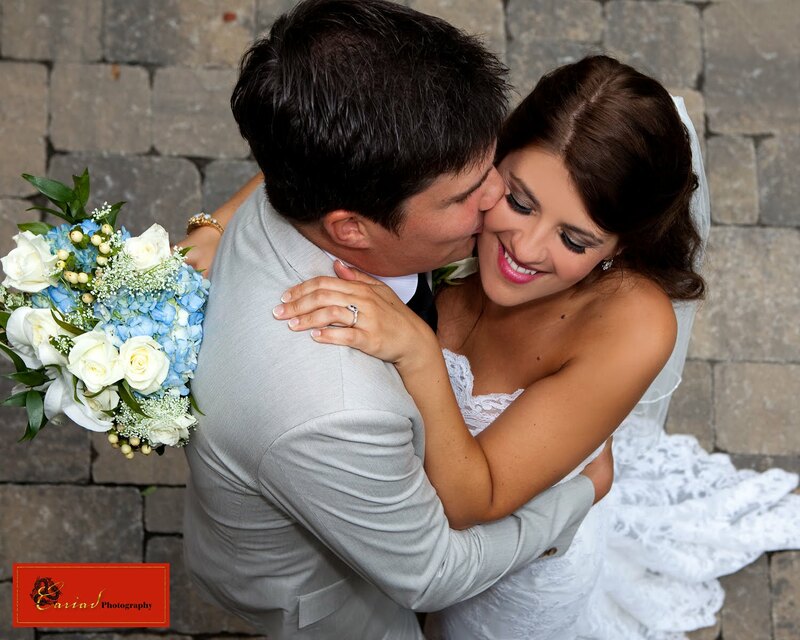 Stefanie and Stephen's Chota Falls Wedding Video Slide Show. Stefanie and Stephen's Wedding Video Slide Show of some of their wedding photos taken at Chota Falls in North Georgia. Splendor Mountain Rehearsal Dinner - Lake Rabun Pavillion Wedding in North Georgia! 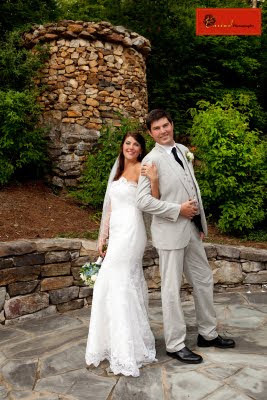 On June 11 Lindsay York and Logan Woodruff said their I DO'S in a beautiful wedding on Lake Rabun at the Lake Rabun Pavillion. 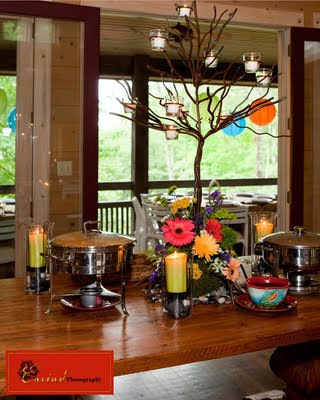 The wedding was preceded the night before with a romantic rehearsal dinner at Splendor Mountain. It was truly a wonderful wedding weekend for the couple, their families and their friends. 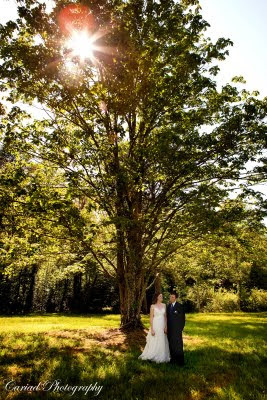 Steve, Laura and I enjoyed photographing their wedding........and getting to see some old friends.Micki Odom Velmer from Sittin' In A Tree was the coordinator for this wedding and she did a great job, a big thank you to her for all her help. 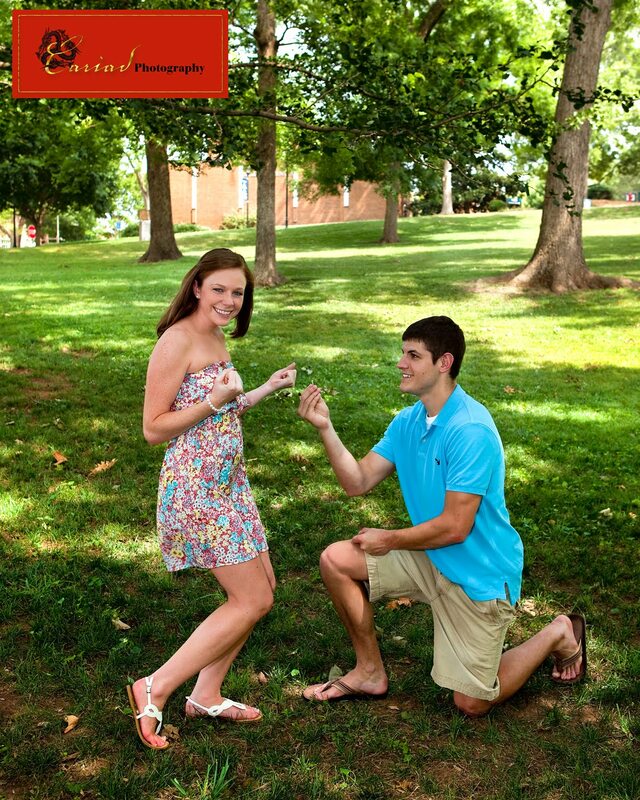 Congratulations to Lindsay and Logan. Congratulations to Allison and Corey on their upcoming wedding at Chota Falls. LSU and Georgia Tech Engineer Trash the Dress Session in North Georgia. When Brooke and Steve got married a couple of weeks ago and she decided that she wanted to do a Trash the Dress Session she chose to do it at the Chattooga River in North Georgia and use it as the backdrop. 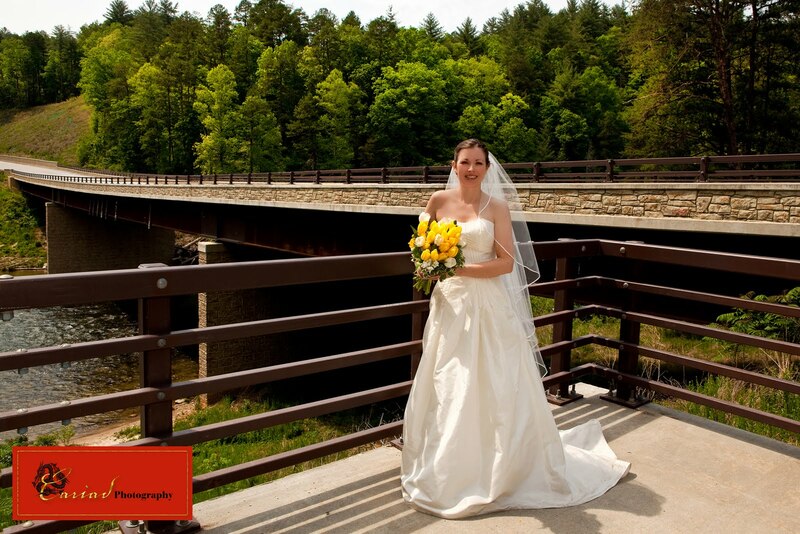 The Chattooga Bridge on Highway 76 was the first bridge she ever build so this lovely place was very special to her. Brooke and Steve will move to Japan very shortly and I hope looking back on our time together doing that session will always bring her joy and great memories of a fun afternoon. We sure had fun photographing them and it was so nice to get to spend some extra time with both of them after the wedding. 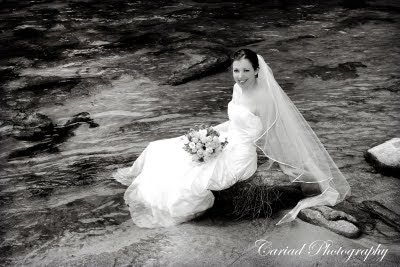 Saturday we were busy photographing Stefanie and Stephens wedding at Chota Falls in North Georgia. It was a really lovely event and everybody was so nice and that made our job so easy. We had met Stefanie and Stephen when we did their engagement session and we instantly liked both so much and it was so great to photograph their special day this past weekend. 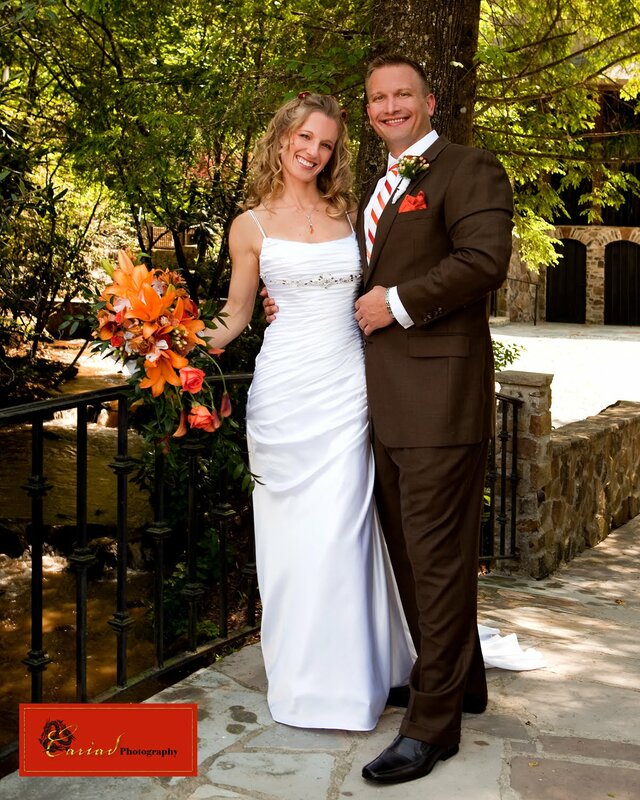 Steve, Laura my associate and I feel so lucky that we can shoot weddings at such beautiful venues. Henry Luther the in house florist at Chota Falls created such a colorful bouquet for the bride......I am always amazed at the pretty things he designs. Sometimes while I am working I am coming across some weddings from the past and it is always a joy to see the photos of the weddings I really enjoyed shooting like the one of Shelly and Elliot at the King Plow Arts Center in Atlanta, GA again. 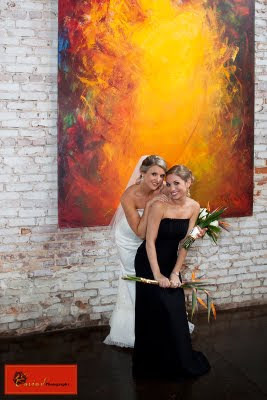 Being an artist I loved incorporating the artwork into the wedding photos.....it was truly a lot of fun and Shelly, Elliot and their entire wedding party were such a joy to photograph. Splendor Mountain - North Georgia Engagement Session. 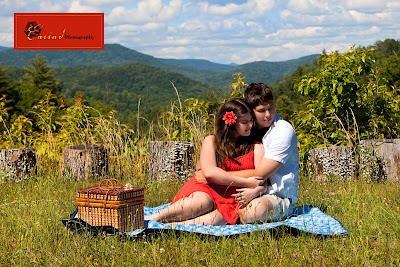 We do a lot of engagement sessions, but yesterdays session with Brittany and Chris was pretty special. The couple decided that they wanted to have a picnic theme for their photo session, but Brittany went above and beyond, she is an aspriring caterer so she created this incredible picnic for all of us.........YES, ALL of us, she invited Steve and I to join them after the shoot. The day before we met she send me the menu and you will have to admit it is quite incredible. It did not only sounded wonderful, it was fantastic. Thank you for inviting us Brittany and Chris.......our engagement sessions might never be the same after this one :) we sure felt spoiled. 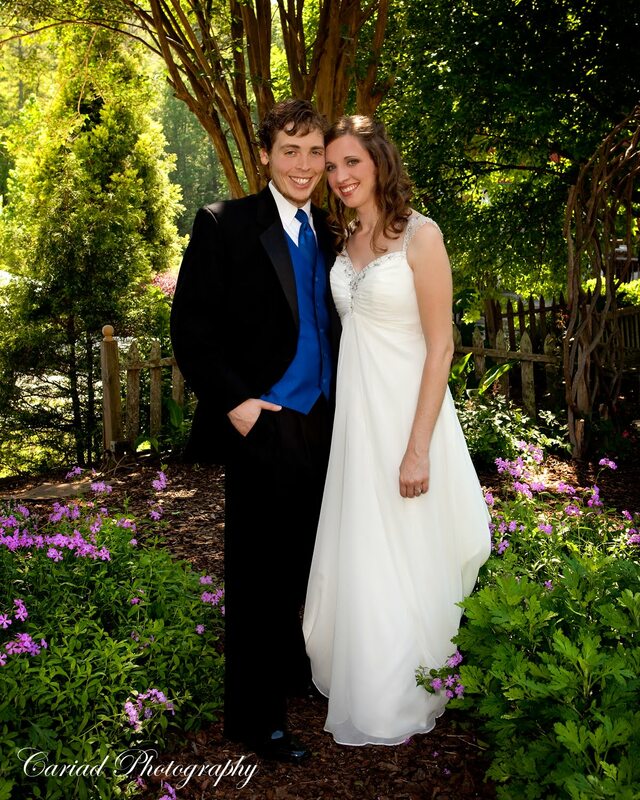 I also want to thank my best friend Chevin Woodruff to allowe us the use of her breathtaking property. Splendor Mountain was beautiful as always and it could not have been more perfect. 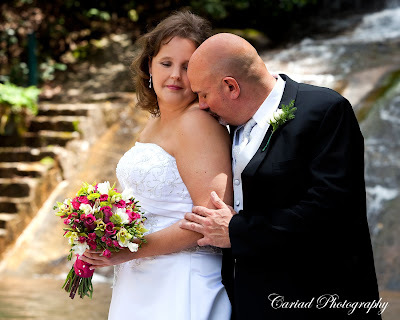 On May 14th we photographed the romantic wedding of Karen and Sean at Glen Ella Springs Inn in Clarkesville, GA. Everything was perfect.....including the weather. Karen's flowers were incredible.....deep, deep purples in various shades were her colors. Congratulations Karen and Sean! 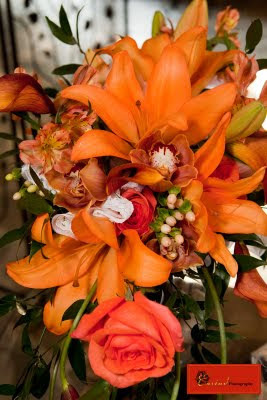 Gertie Mae's Flower Studio at Lake Rabun Pavillion Wedding. Gertie Mae created these beautiful flowers for Brooke and Steven's Wedding at the Lake Rabun Pavillion. 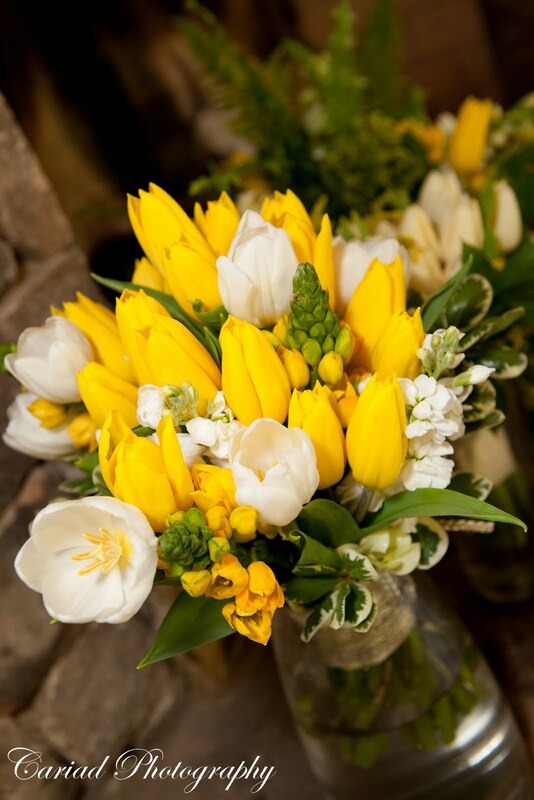 Brooke chose yellow and white tulips and they sure portrait the feeling of Spring in her wedding. 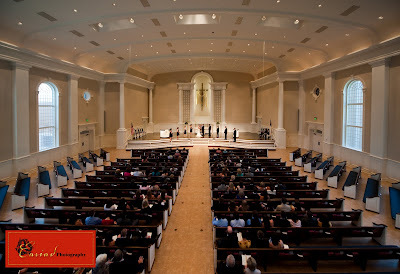 Today was a great day, I booked three more weddings.......two for 2011 and another one for 2012. It is so nice to be appreciated and I feel so blessed to have so many wonderful clients booked for this year and already for next year. Lake Rabun Pavillion Wedding - North Georgia of Tiffany and Justin. Yesterday Christy and Brad were married at Chota Falls. It was a lovely wedding and a perfect day. 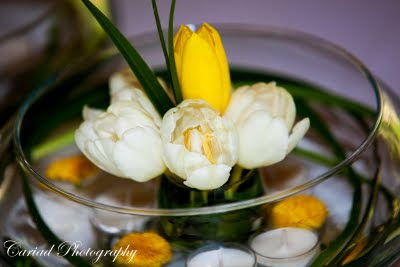 The flowers that Henry Luther created for their wedding were perfect as always and the venue looked stunning. Congratulations to the happy couple. 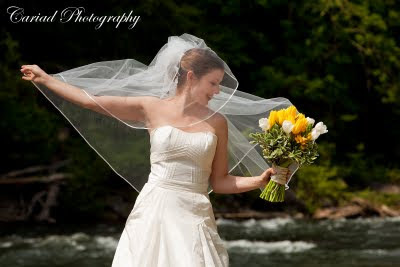 Day After Trash the Dress Session, Chattooga River - North Georgia! Brooke had a Trash the Dress Session the day after her wedding on the Chattooga River in North Georgia. It was great fun for all of us. 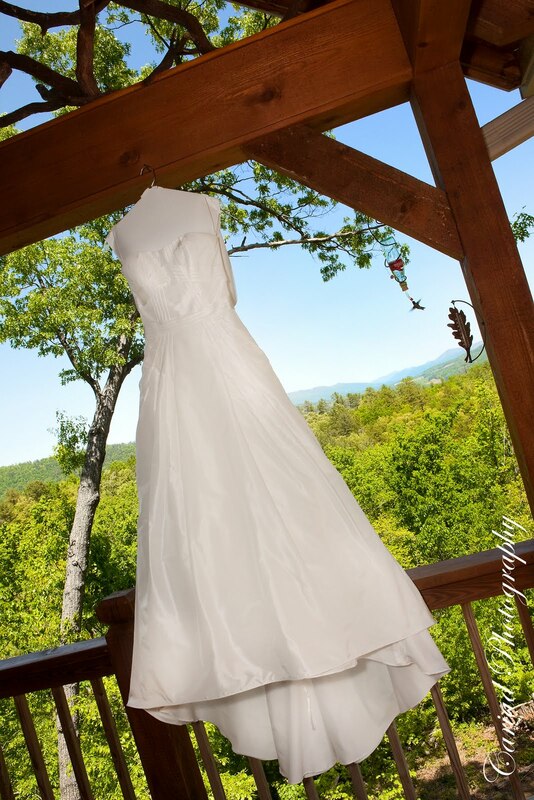 This past weekend we had another lovely wedding at the Lake Rabun Pavillion. Brooke and Steve had a perfect day and everything was lovely...... I just loved the spring feeling of the flowers Brooke chose. The bride dressed at her parents home way on top of a beautiful moutain and gave me a chance to get a photo of her dress with the mountains in the background and the visit of a hummingbird just made it perfect. 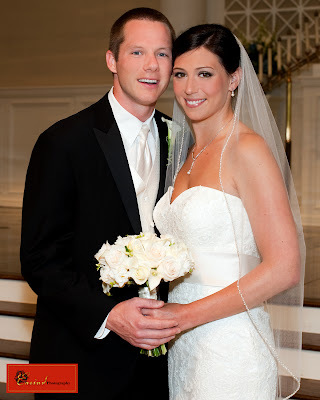 Congratulations to Brooke and Steve.